Bosch offers a full selection of crimped and knotted wire cup brushes. 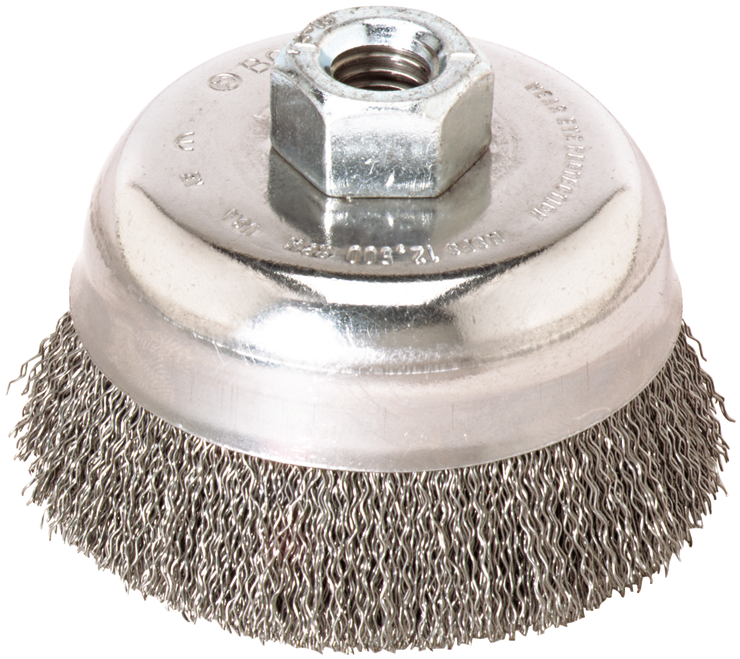 Bosch provides professionals with a crimped wire cup brush fitted with carbon steel bristles; offers softer brushing action compared to knotted wire cup brushes. The precision-balanced cup virtually eliminates vibration.